Our Electronics Hardware Design services cover the full gamut of the design cycle – from concept creation to production release. At JFS-ES, we assist customers in creating new product designs of their electronics hardware, and we also provide on-going support for updates or new enhancements to existing designs. System Architecture Design and Design Specifications Development: Give us your product description, and we can design the system architecture for you. Whether it is a single or multi-board system, our team can develop the design specifications for each component of the system. Component Research: If you need help in researching and selecting the right components for your design, you’ve come to the right place. From resistors to MPUs to specialized modules, we can help you make the best selections for your project. Most importantly, we keep your needs, including overall BOM cost, as our #1 priority, so you can rest assured that you’re in good hands. Circuit Design and Simulation: At JFS-ES, we have experience in designing digital, analog, and mixed-signal circuit designs. 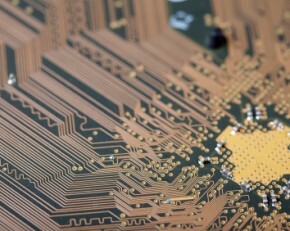 We specialize in processor core design, FPGA integration, data acquisition systems, control systems, and connectivity interfaces. Before committing to a finalized design, we often use simulation to verify a circuit’s characteristics and functionality. Schematic Capture: Do you have a sketch, wire-list, or diagrams? Maybe you just have a circuit description? We can take what you have and translate it into a formal set of schematic documents. PCB Layout Design: Our firm is experienced with the layout design of digital, analog, and mixed-signal PCBs, including high-speed and HDI design. We utilize IPC standards and a constraints-driven layout model. Whether you need help with break-out cards or with complex high-speed designs, we can address your PCB layout design needs. Along with the standard manufacturing data outputs, we also provide customers a 3D model of the assembled PCB for importing into an MCAD system. Prototype Procurement: Do you need assembled prototype boards of your PCB designs? No problem. We regularly procure and provide prototypes for our customers. Design Verification Testing: If you just need verification that a design works, we can perform the initial bring-up of an assembled prototype and test the assembly to verify it meets the requirements of the design. Technical Specifications Development: At JFS-ES, we can develop the technical specifications for a system design. Production Test Specifications Development: We can provide customers with a complete set of test specifications for production level testing.